Another month, another bunch of books I desperately wish I could have gotten to. June 13th, 2013 | Tags: June 2013 | Category: D.E.A.R. I really wanted to get to Gameboard of the Gods this month but it just didn’t happen. Maybe next month! Oh gosh, I love this post…don’t we all wish we had a DEAR day! I didn’t get around to Yonahlossee either and I’m totally intrigued by Time Traveler’s Guide! Have you read “Shakespeare’s Restless World” by Neil MacGregor? 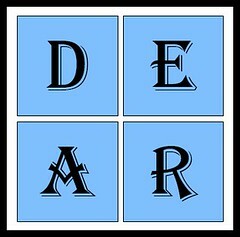 It was very engaging and I thought of it when I saw your D.E.A.R. selection of “The Time Traveler’s Guide to Elizabethan England”. I’ve actually written about it for this coming week’s “Writer Wednesday” post. It explores the Elizabethan and early Stuart world of Shakespeare through everyday objects. You might enjoy it! I haven’t, I’ll have to look into it!